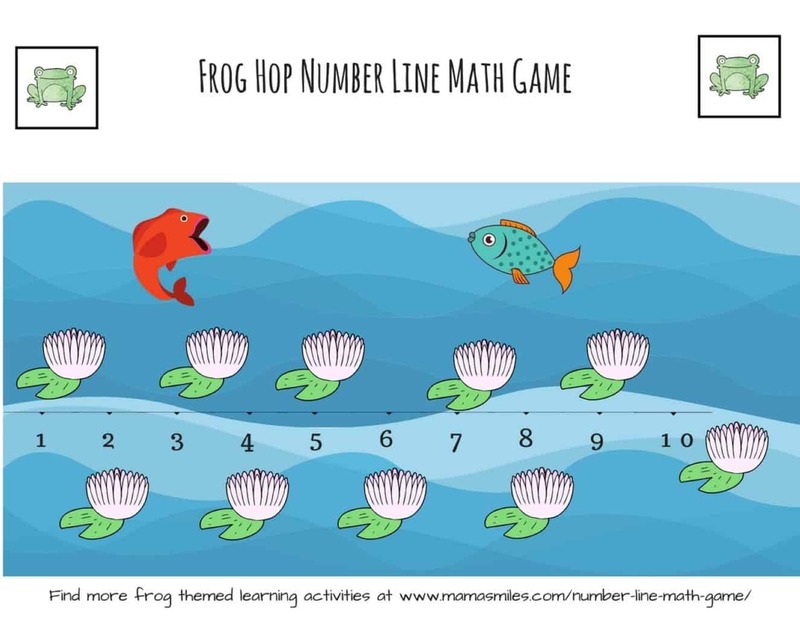 Printable frog hop number line math game for kids for practicing simple math facts, as well as other frog themed learning activities for kids. Wide-Mouthed Frog is a fun, new-to-me pop-up book about a wide-mouthed frog. It’s not my favorite story: a frog talks to different animals about what they eat and narrowly escapes being eaten by a crocodile is the basic plot. The illustrations are fun, though, and the pop-up aspect is bound to engage toddlers through preschoolers. My kindergartener was happy to read the book once, but was really on the older end for this. She did enjoy playing with the frog hop number line game printable I made to go along with the book. She practiced counting up to ten, counting backwards from ten, and skip counting on odd and even numbers. This activity was quite simple for her, but still fun. Click on this text to download the game. I recommend laminating it – we love this laminator and use these laminating pouches. Frogs are fascinating animals! I still remember falling into a pond once while catching tadpools. I stuck to catching tadpools in streams after that. Here are more great frog themed learning activities you can use to create an entire unit about frogs! 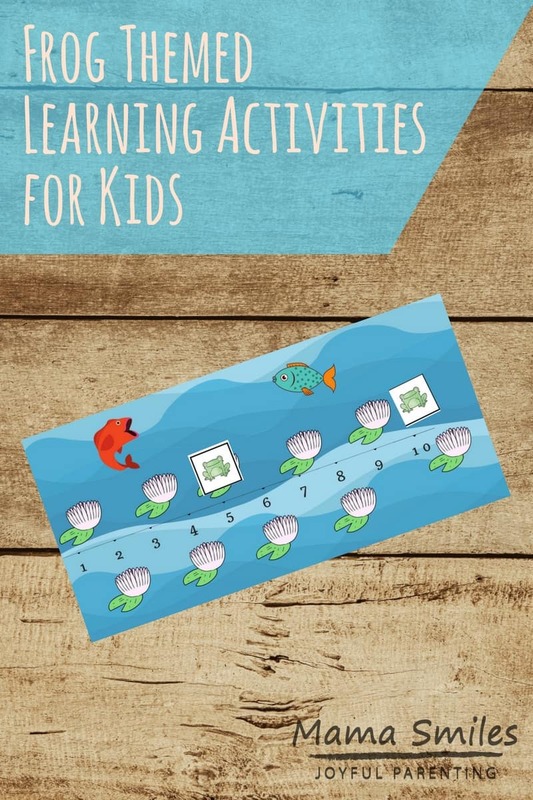 Frog Lifecycle learning manipulatives – so kids can explore the stages of frog development hands-on. Toy Jumping Frogs – hold a “whose frog can jump furthest” contest to practice measuring! What are your favorite frog themed learning activities for kids? Do you have another number line math game we should try? Share your recommendations on my Facebook page, or tag me on Instagram. This is really a nice game for kids. I liked this number line game. This is such a cute game! I love how you extend the books with learning activities. It’s a cute printable. Oh, there’s a lot you could do with this number line as part of a frogs unit study.